Thank you to all who organized and all who attended tonight's Members Meeting. It was a great opportunity to get to know some fellow local resisters and to sharpen our activism skills for the fight ahead! We had large and creative group at our rally this week. Photos of them and their great signs are here. Thanks to everyone for showing our strength! 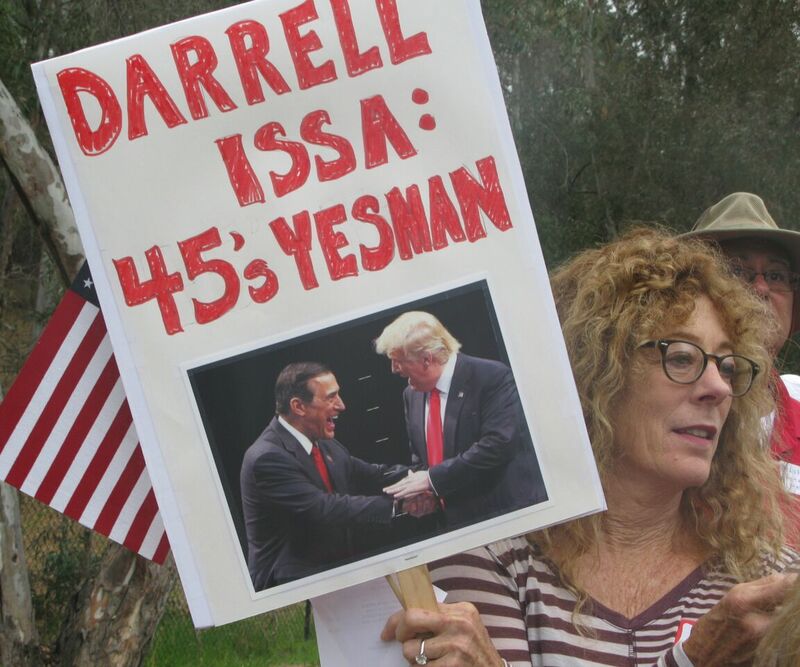 Let's remind Issa that it is his sworn duty to serve the United States, not the Republican Party! We are gathering across the street, so please be careful crossing over. If you've have not attended in a while, or perhaps never attended, please join us this week! Issa needs to know that we are serious and WE AE NOT GOING AWAY! Look for Ellen's email to RSVP. Note: Our Tuesday rallies will continue through summer, even as we try to secure permits and battle with the city of Vista. See the ACLU letter to the city of Vista asserting our first amendment rights. 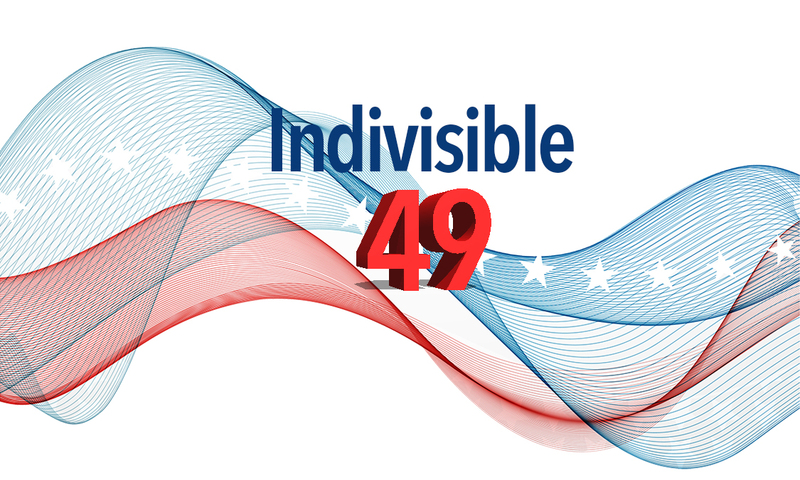 Our sister group, Indivisible North San Diego County, which is working to defeat Duncan Hunter in the 50th, has asked for our support at their rally at Hunter's office on Tuesday. They have purchased this billboard on Route 67 in El Cajon and would like a large attendance at the rally as they show it off to the media. Great work Indivisiblensdc! We are speaking out for our first amendment rights to speech and assembly, and standing up against the city's illegal attempt to stop our protests against Issa. There may also be an important vote on District elections. Please email Mustafa at mnizam99@gmail.com if you can attend or speak for 3 minutes to testify about your First Amendment rights. The 49th Action Council invites you to learn more about the strategy for engaging our neighbors and organizing our communities in 2018. Contact Reed to organize a Neighbors in Action training to learn how to become a Neighborhood Leader. Lots going on in Congress! A series of terrible bills related to voting rights, foreign surveillance, religion, and restructuring the judicial branch to favor the GOP were introduced last week in the House and Senate. In the Senate, the health care bill is on the fast track- with McConnell clearing the need for the bill to go through committees to come straight to the floor for a vote. Let’s keep up the pressure! Make phone calls! Make phone calls! Make phone calls! Especially about health care, but also about any of the legislation before Congress right now. Our calls make a difference! Keep it up!